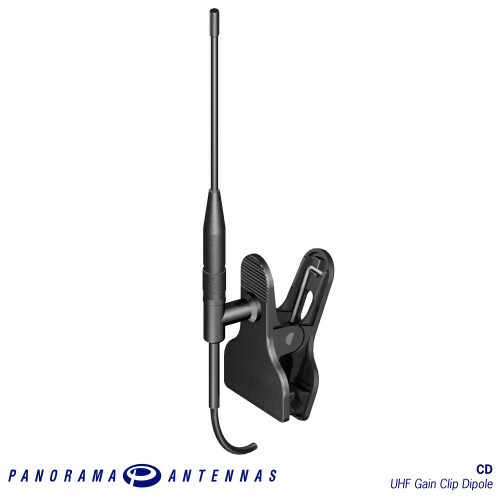 The performance and range of portable equipment can often be considerably improved by better positioning of the antenna. 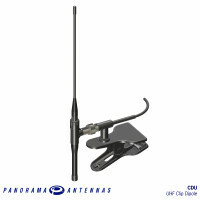 Spring clip antennas provide an easy way to do this, providing elevation and clearance from surrounding objects. 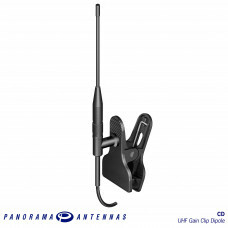 The combination of better positioning with the performance of an end fed 1/2 wave antenna makes the CD range ideal for temporary and semi permanent applications. The jaws of the spring clip are moulded in nylon and are fully adjustable for any angle. The antenna is protected from the elements by a weather protective moulding around the coaxial feeder cable. The CDU range is a temporary fit solution for UHF radio terminals - ideal for temporary network infi..